Lagalog just felt like taking a breather. Indulge a bit. Cool off his heels. Shoot people and food for a change. And give in to the dark side -- dark chocolate orange ice cream, that is. Watch out for a future post on Haagen Daz's Dark Chocolate Orange at happyfoodies.com. Meanwhile, enjoy dark chocolate thoughts. 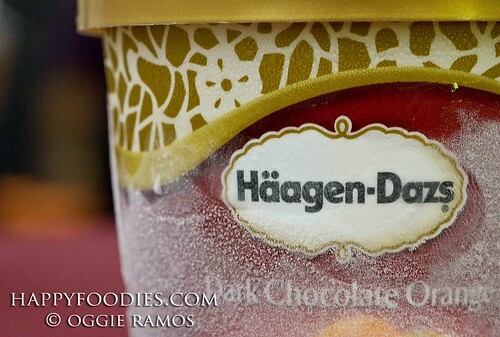 Photo taken at the Haagen Dazs, Robinsons Place launch. whoa! ok ok. almost speechless.